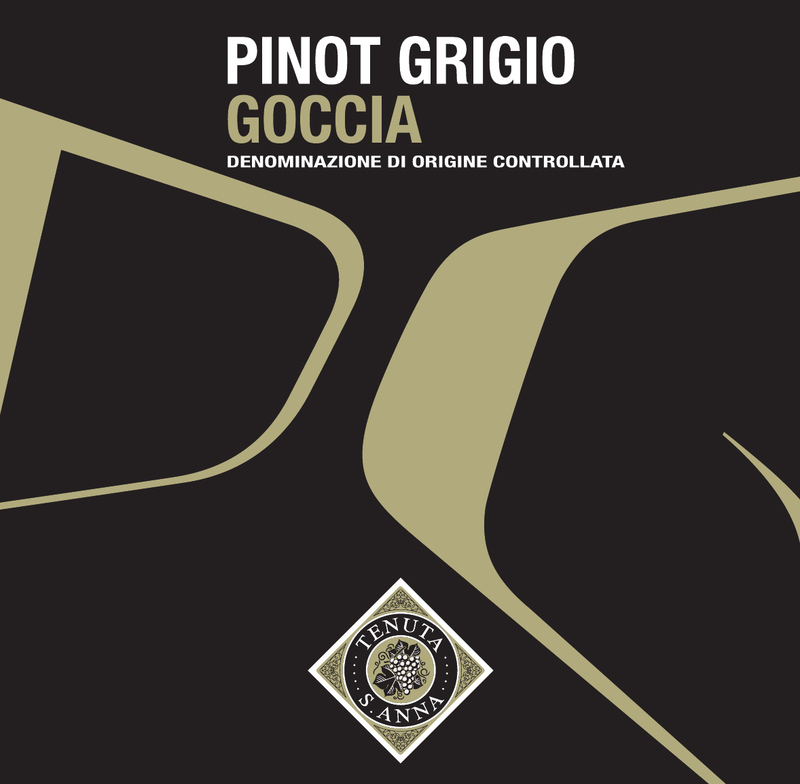 A great classic of the Italian wine-making tradition and a jewel in the crown of the north-east, Pinot Grigio has always enchanted the palate for its full-bodiedness, combined with the delicacy that is typical of the white wines. ‘Goccia’ means ‘drop’ in Italian and it refers to the particular winemaking technique in which only free-run must dripped from the very first pressing of the grapes is used. This process enhances the aromas of acacia flowers and exotic fruits and allows the wine to maintain a full-body while conferring elegance and softness to the palate. 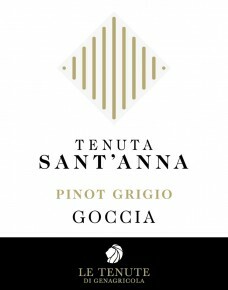 Tenuta Sant’Anna Goccia is not an average Pinot Grigio as it offers complexity and balance. It can be enjoyed on its own as an aperitif or it can stand up to rich and eleaborate seafood dishes, creamy risottos, cold cuts and fresh cheeses. Enjoy well chilled. Starting with the 2015 vintage – Pinot Grigio Goccia boasts a fresh new packaging, in line with the new visual identity for Tenuta Sant’Anna. Grapes are carefully selected in the vineyard and picked by hand at the first light of dawn. The grapes are de-stemmed and crushed softly: the free-run must obtained in this phase is ‘dripped’ into temperature-controlled stainless steel vats before being processed in an oxygen-free atmosphere. The wine remains on the yeasts for about 3 months in steel vats, and then it rests in bottle for another 2 months.